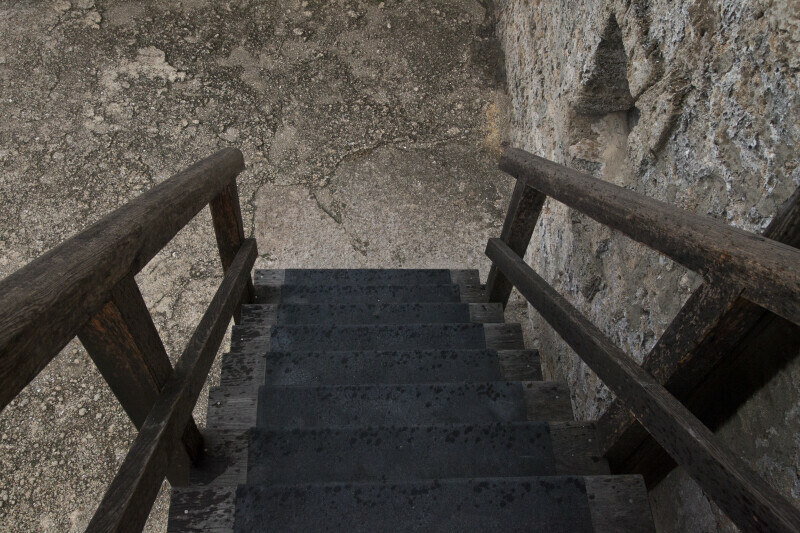 This picture provides a view of the stairs that are attached to the south wall of the watchtower, at Fort Matanzas. These stairs connect the gun deck with the officer's quarters. The treads are covered with a non-slip surface.